Some runners with very low body fat or those who are training very intensely (for an endurance race such as a marathon) do occasionally miss their period. Irregularities in the menstrual cycle happen more frequently with running than with any other sport. The amount of running is definitely a factor. Some women report a missed period when logging 20 to 30 miles a week, while some don't experience this issue until they hit 40 to 60 miles a week. Missing one period is usually not cause for concern, but it most likely means you didn't ovulate that month. So, if you're trying to get pregnant, training for a marathon or other endurance event may not be compatible with your goals to conceive. If you've missed more than one period in a row, you're dealing with a more serious issue. The technical term for this loss of menstruation is amenorrhea. Studies suggest that amenorrhea associated with exercise develops when a woman's caloric intake is less than she burns with exercise and other daily activities. Most women with exercise amenorrhea have also lost weight, resulting in a weight of less than 10 percent of the ideal body weight. Missed periods may also be a sign of a poor diet, so you should talk to your doctor to make sure you're eating a healthy, balanced diet and don't have any nutritional deficiencies. Try to determine how many calories you need to make sure you're consuming enough to make up for all the calories you're burning through exercise. You especially need to make sure you're getting enough protein and iron in your diet. If you're a vegetarian, you may be even more susceptible to amenorrhea, as you may not be enough protein, iron, and calories in your diet. Low estrogen levels could also be to blame because your body needs the right amount of estrogen to ovulate. To boost your estrogen levels, try eating foods rich in zinc, such as nuts, seeds, and fish, Vitamin B6, found in peppers, eggs, chicken and brown rice and taking a multi-vitamin that contains magnesium. Estrogen levels can also be influenced by other factors such as sleep and stress, so make sure that you're giving your body and mind time to recover and relax. Anorexic females are known to experience amenorrhea. Although amenorrhea exists among women with no eating disorders, the loss of periods is certainly a red flag warning that restrictive eating behaviors might be the culprit. 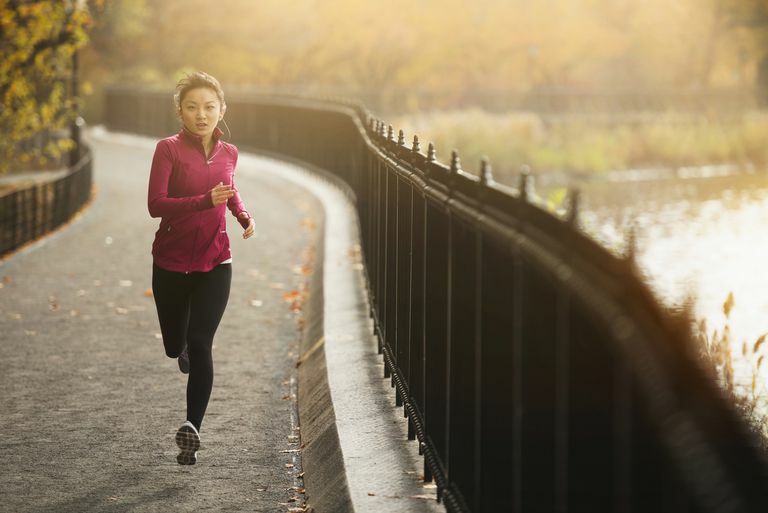 If you're a running coach, especially of teenagers, be on the lookout for symptoms such as loss of periods and restrictive eating behaviors. Whatever the cause may be, missing more than one period in a row is a serious concern for pre-menopausal women because it's associated with infertility, osteoporosis, breast and vaginal atrophy, and potentially an increased risk of heart disease. The hormonal or nutritional deficiency issues may lead to other problems, such as stress fractures. Schedule an appointment with your doctor and/or OB/GYN to determine the cause and get the proper medical treatment.